Posted by Rhett Mcdaniel on Monday, August 15, 2011 in News. 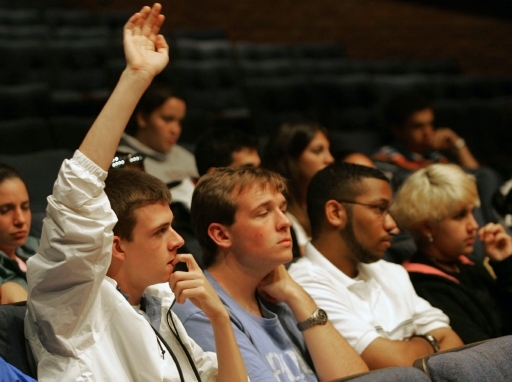 For most teachers, leading classroom discussion on difficult topics is a perennial challenge. Part of the challenge lies in the fact that we never fully know which issues will be “hot buttons” for our students. Conversations can become heated very quickly, and before long, it can feel like the class is careening out of control. The CFT’s new Teaching Guide on Difficult Dialogues seeks to help teachers feel more confident leading difficult dialogues by encouraging reflection on how such discussions connect with larger learning goals, and by providing specific strategies and resources that teachers can use to create more productive conversations in their classrooms.